This is a traditional Bengali style brinjal / eggplant / aubergine curry cooked with poppy seeds / khus khus paste. This is very mild and requires very few ingredients. Yet it has such a nice creamy texture and is so flavourful. 2. Soak the poppy seeds preferably for few hours. 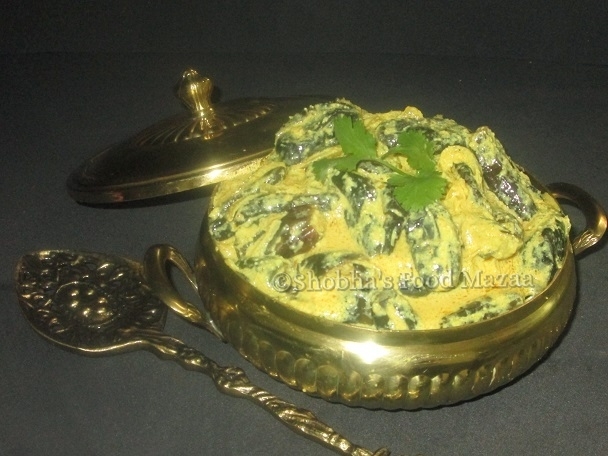 Make a smooth paste with poppy seeds and green chillies. 3. In a pan heat oil and saute the sliced onion until translucent. 4. Tip in the brinjals and stir fry until they are half done. 5. Add the ground poppy seed and chilli paste. Also add turmeric powder, red chilli powder and salt to taste and a little sugar if you like. 6. Stir carefully and add about one cup water and simmer to cook. 7. If you want a dry version you just sprinkle a little water and cover the lid. Check again after a minute or two and repeat the same if they are not done. This depends on the size of the brinjals you are using. Tiny ones get cooked very fast. Note: Tempering is optional. If you like then temper the curry with just nigella seeds or panch phoran. Some people also add a little yogurt for tanginess. 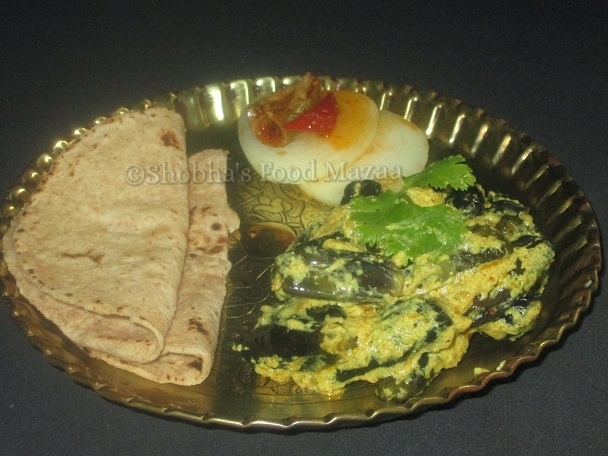 delicious finger licking brinjal curry Shobha. This look fabulous! I've never seen a brinjal but I have had brinjal pickle which was lovely. Try out Camilla.. specially the baby brinjals are awesome. baigan with poppy seeds looks great. Another recipe to try out. 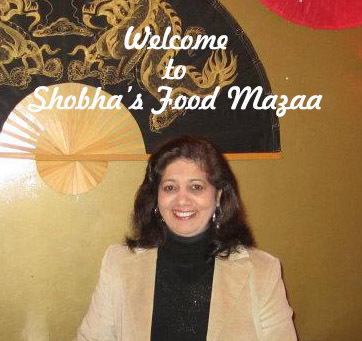 Thanks Shobha for sharing the recipe. Yes, a nice combo.. we also have a similier spicy version with this combo in South Indian cuisine.